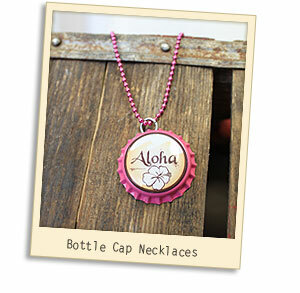 Alcohol Inks and Bottle Cap Co. supplies are a wonderful combination! 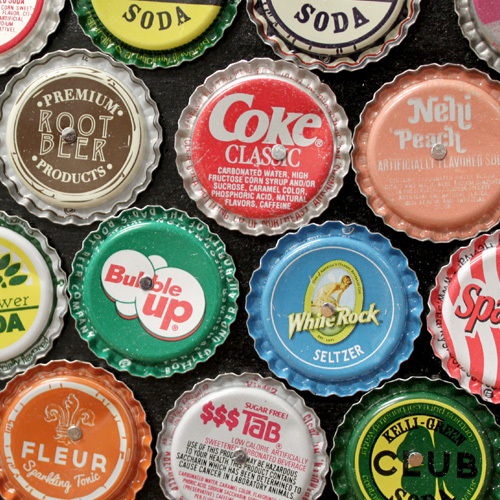 Check out all this photo inspiration. 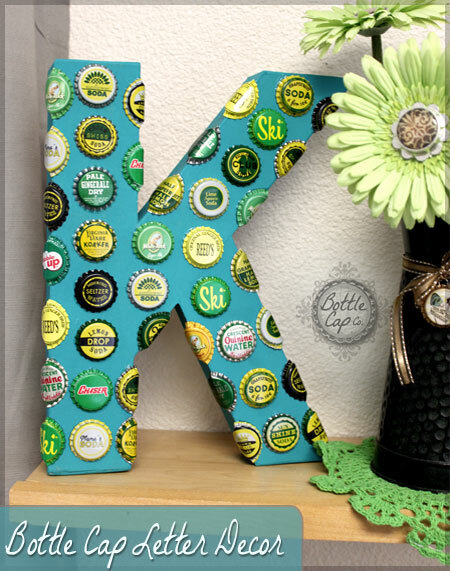 You'll have fun with a hammer and nails in this simple DIY home decor project using bottle caps and 5" Wooden Letter Press Blocks from BottleCapco.com. 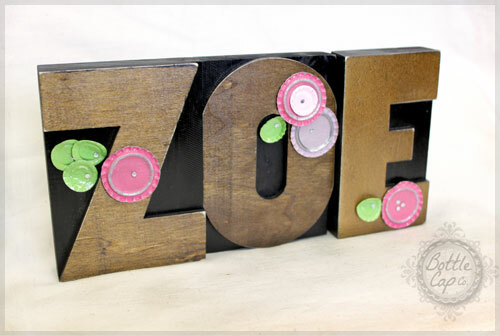 Bottle Caps and large wooden letter press blocks make a sweet, simple handmade baby shower gift. 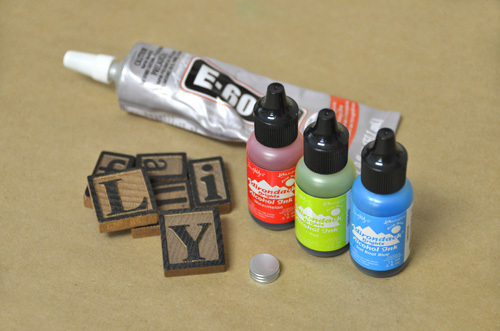 Have you seen our new Ranger Patina Inks? 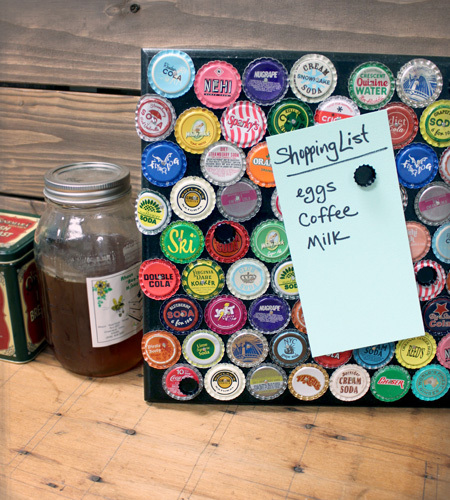 There are so many things to do with them! 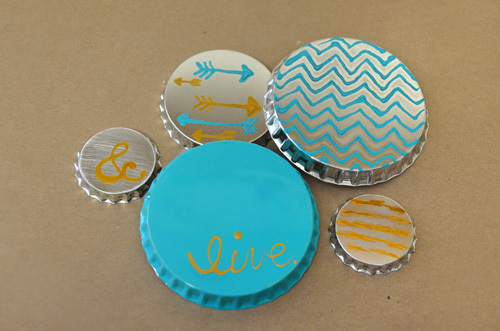 Imagine the possibilities and use these practical tips and ideas to create something awesome! 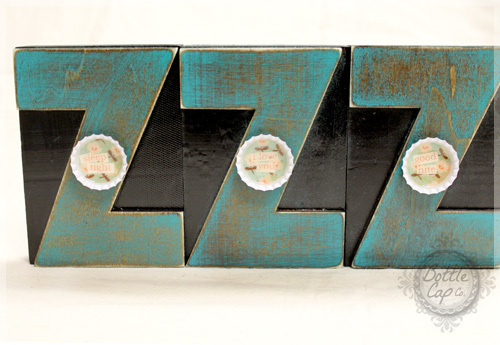 This project is perfect for home or room decorations, the possibilities are endless! 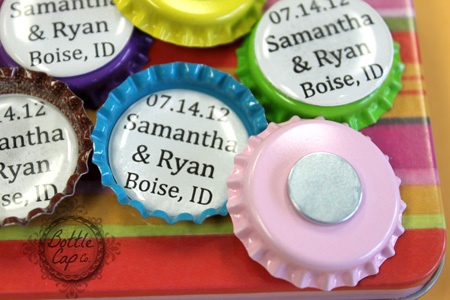 Need a few creative budget friendly DIY Wedding ideas? 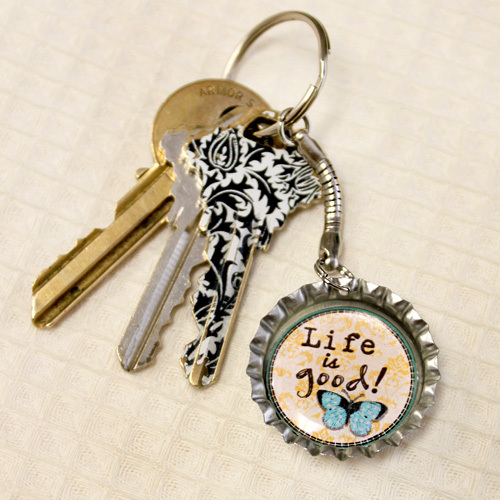 This is the perfect blog for a little inspiration! 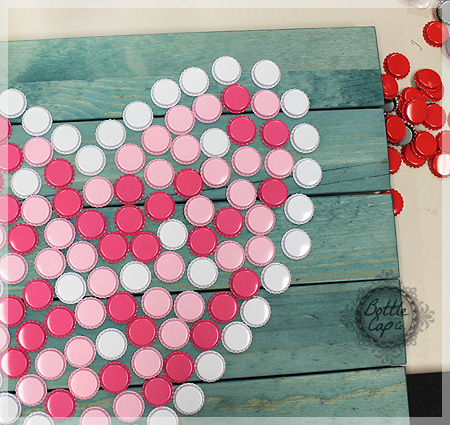 Here's a little inspiration to help get you started on all your Valentine's day crafts. 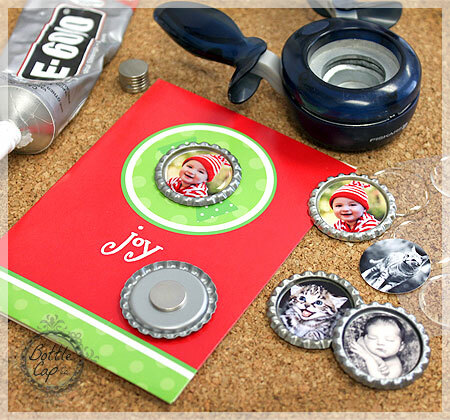 We've got lots of ideas to help you make festive holiday cards...embellished with flattened bottle caps of course!! 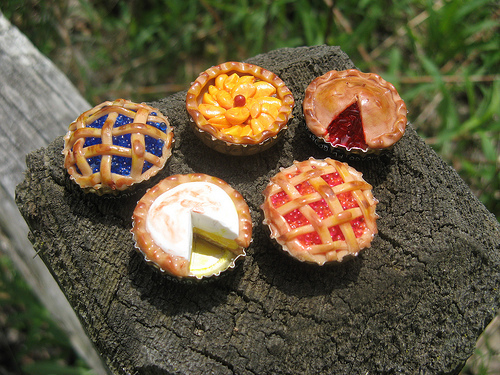 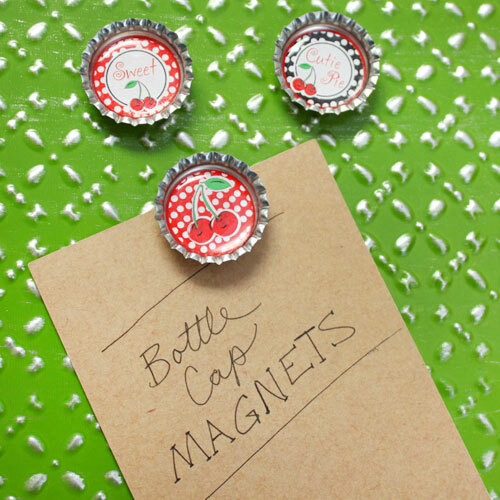 Mini bottle caps...check out some fun ideas to help your creative ideas flowing! Congratulations to Lori in Florida our first prize winner! 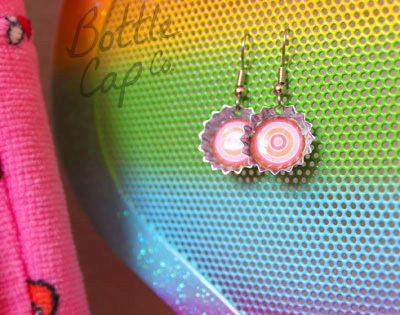 Her creative and funky tie dye bottle cap flip flops brought in the most "likes"! 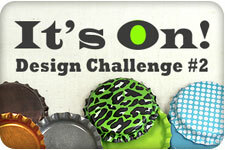 Check out the winning entries from our Oversize Cap Mixed Media Design Challenge! 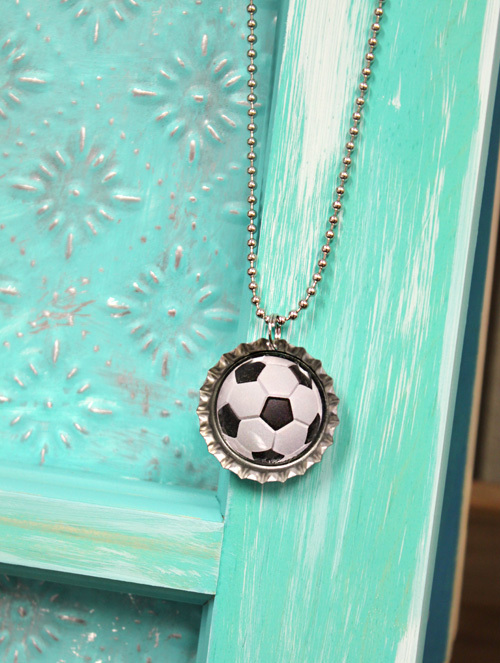 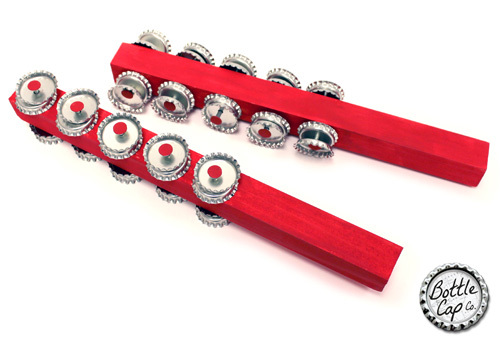 Check out the winning entries from our Bottle Cap Necklace Design Challenge! 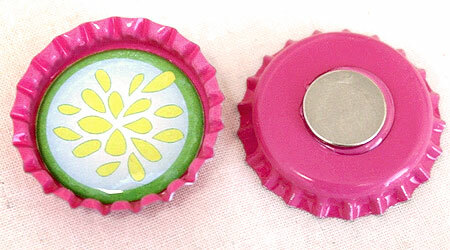 Bottle caps with color on both sides. 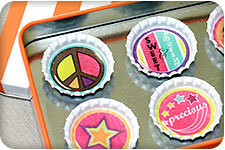 Have fun with color! 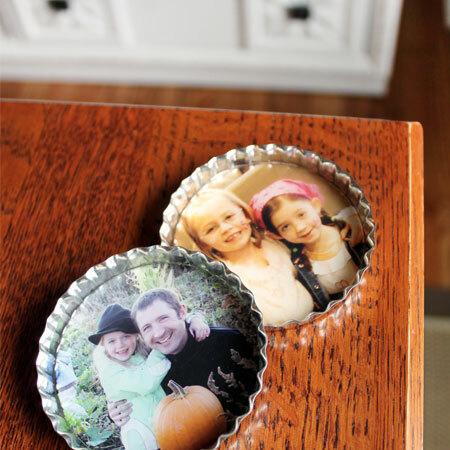 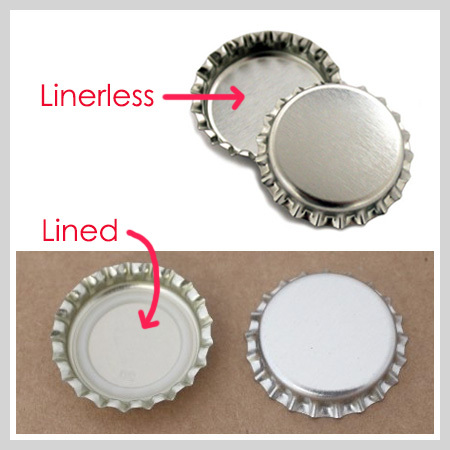 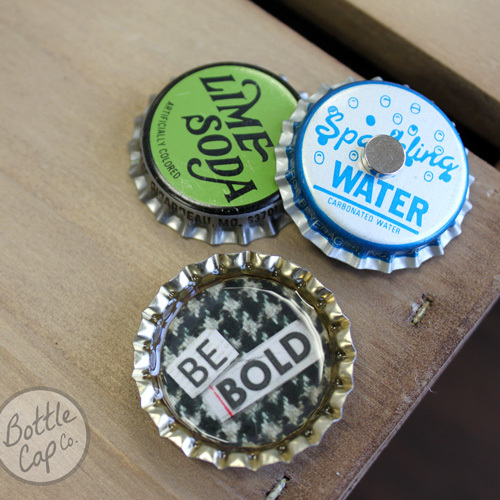 Bottle cap craft ideas and inspiration.